J M Barrie's most famous character, Peter Pan, originated in a whimsical story from his book The Little White Bird. 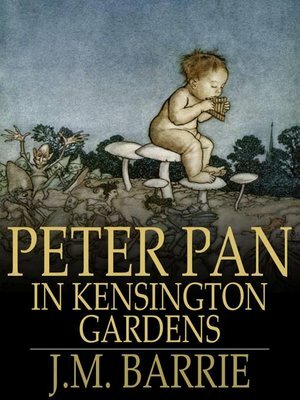 Peter Pan in Kensington Gardens is a revised version of that same story, and the Peter Pan we meet is a younger, slightly different character to the Peter Pan of Barrie's later, better-known works. Peter is a small boy who is, like all boys, part bird. When he hears his future being discussed he flies out the window and away to Kensington Gardens. There he discovers that he is now more boy than bird, and so he is stranded in the park, unable to fly any longer.